Evy Beraldo grew up in Hamilton but has lived most of her life in Burlington. A graduate of McMaster she earned an Hons BSc in psychology and a CMA (now called CPA) while working as an accountant. 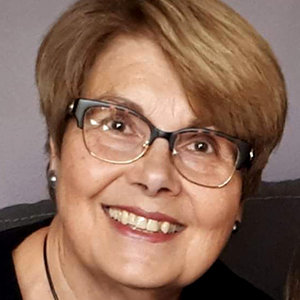 Having gained experience at several manufacturing companies in Waterloo, Mississauga and Burlington, Evy joined Nalco a U.S. owned multi-national corporation, where she worked for 21 years until retiring in 2011. The last 6 years at Nalco were as Country Administrator and Canadian Finance Manager. As C.A., Evy chaired local leadership meetings, had oversight for administration, operations and safety for Canadian facilities. Evy is currently involved in leadership of Hamilton Estonian Society and church council and sings in the Hamilton Estonian choir. She also participated in the Estonian Song Festival in Estonian 2014. Massed choirs totaled in excess of 20,000 individuals on stage in the grand finale.